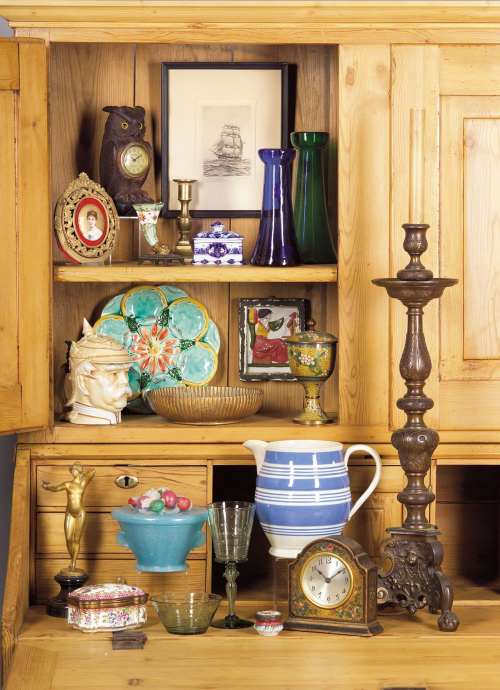 Auctions in Massachusetts | Are You New to Collecting Antiques? | Skinner Inc. If you follow Skinner auctions from afar and rely on the highlights reported in the press, you might come to the conclusion that auctions are not for you: that the prices achieved are out of reach, and the esoteric material on offer requires too much study and knowledge to be enjoyable. Don’t let these perceptions deter you. While participants in specialty auctions often have a wealth of knowledge, they too had to begin at some point. The truth is there are great ways to get started learning about and participating in the auction world. Monthly estate auctions are one of the best ways to do this. At Skinner, we’ve been holding monthly “Discovery Auctions” of affordable antiques, decorative arts and collectibles since the 1980s. These general sales are a perfect place to learn about collecting antiques, become familiar with the auction process, and try your hand at bidding for some really good values. The material offered comes from a mix of sources and encompasses the full range of material offered through Skinner specialty auctions. Items run the gamut from very good quality items to curiosities to the nostalgic. Why does Skinner have this material? Consignors entrust items to Skinner Discovery auctions because they are moving, disposing of an estate, unloading good quality items that are no longer needed, or upgrading their collections. To get started, simply browse through our Discovery catalogue. As with all Skinner auctions, print catalogues are available by mail and at the Marlborough gallery. The website is even more rewarding with clear photographs of every lot in addition to descriptions and pre-sale estimates. And of course, nothing compares with viewing the items of interest in person, but if you are unable to do so you are welcome to email or call the gallery and speak with someone in the department. Department specialists are glad to take a first-hand look and answer questions. After you’ve determined which lots interest you, figure out how much you are willing to bid for each, and then join the auction by participating from the floor of the auction gallery live, via the phone, online, or in advance through absentee bid. You’ll win some and some will slip away, but the best part is that you’re likely to get great value for the price. Many a buyer has been known to purchase a piece of furniture, use it for years, and then consign it again to auction because of a change of taste or life circumstance. Sometimes this results in a favorable financial pay-off, with proceeds surpassing the original purchase price. In some cases, the piece might bring less, but you’ll be ahead of the game in either case compared with buying new. The bottom line: if you haven’t attended a Discovery Auction–check one out. Auctions take place monthly in our Marlborough, Massachusetts gallery. Even if you are a regular at our specialty auctions, you might be surprised by what you find. If you’re new to auctions, you may find the Discovery auction an enjoyable and rewarding entrée into the world of antiques and collecting. This entry was posted in Blog and tagged affordable antiques, Art & Antiques, Auction FAQ, auction process, auctions in massachusetts, collecting antiques, decorative arts, Discovery, Discovery auctions, estate auctions, Kerry Shrives by Kerry Shrives. Bookmark the permalink.